Here in America we have a popular television show called American Idol. It went off the air, but it is coming back! Did you have any favorite American Idols? Yesterday I mentioned that we don’t have idols in America like some other countries where Buddhism or Hinduism is prominent. But do we have other kinds of American idols? I’m not talking about the contestants on the singing competition. Instead, I’m wondering if we American Christians have other kinds of idols that we worship? Moses continues talking about idol worship in Deuteronomy 4, verse 20, but this time he argues from God’s perspective. He reminds Israel that they have a special connection with God, because he rescued them and made them his people. Therefore Israel should remember the covenant they have with God. He is their God, and they are his people. Therefore, one of the primary stipulations of that covenant is that they are only to worship Him. God forbids them to worship idols, Moses says, because God is jealous, a consuming fire. Woah. That stops me short. When is the last time you thought of God as jealous? Or as a consuming fire? Isn’t God supposed to be a God of love and mercy? Jealousy is a bad thing, right? Once again, Moses presents us with a picture of God that seems odd. Let’s take a deeper look at this jealousy of God. Maybe we should think of God that way. I’ve been reading a lot in the Old Testament lately, and not just because I’ve been studying for sermons in Deuteronomy. On Wednesday evenings in prayer meeting, we’ve read through Joshua, and now we’re in Judges. My devotional accountability partner (a long-time friend who is also a pastor) and I months ago started in Genesis and are looking at every passage that relates to prayer. My friend and I have made it to 1st Samuel. What I have seen is a description of God that is so amazing. He is relational and emotional. For Moses to describe him here as jealous makes total sense. I’m serious. God’s jealousy is a good thing. If you’re surprised to hear me say that, let me explain. In Judges 10 there is a passage that describes Israel as totally rebellious against God for many years. They are worshiping idols and false gods from other nations. We read that they are oppressed by an enemy nation and they cry out to God for help. You know what God says? “Go and cry out to the other gods you have chosen. Let them save you when you are in trouble.” Yikes. He’s hurt. Upset. Even sarcastic. You ever felt like that when a loved one hurts you? Then in 1 Samuel 8 when the people ask for a king, guess what God says this time? “They have rejected me as king. As they have done from the day I brought them up out of Egypt, forsaking me and serving other gods.” He is emotional, and he is jealous, because he wants to be in relationship with us. That’s a true lover. He doesn’t want to share, and he shouldn’t have to, right? But the people were often giving themselves to worship idols. Their apostasy is astounding, and that much more hurtful to God, because those idols were dead, while God is alive. Why would they worship such lesser, empty things? You can see why Moses calls God a jealous God, and why is right for Moses to do so. God offers so much more for his people, and yet his people turn away from him. Moses continues talking about this in Deuteronomy 4, verses 25-28, and he basically says to the people, “You’re going to fail.” Geez, Moses, why not encourage them? 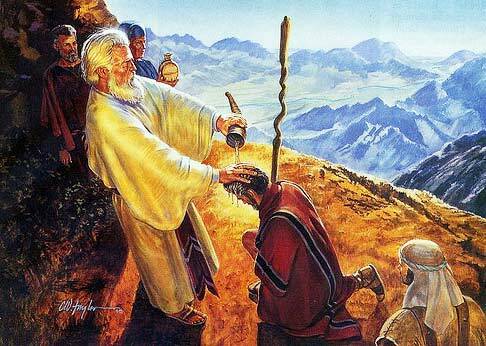 But before we get too hard on Moses, we need to see this as Moses desiring the people to be faithful. When you are leading people, they need to hear the honest truth. I hate telling the brutal truth to people, because I’m afraid it will hurt their feelings, or that they will respond poorly back to me. It is much easier to be a people-pleaser. But if I have learned one thing about being a pastor, about being a father, about being a husband, about being a leader, about being a friend, it is that we disciples of Jesus need to be people who speak the truth in love to those God has placed in our lives. It will hurt. It is hard, but it is needed. It is like the surgeon who wields his scalpel. He cuts us, but to heal. That is Moses, surgically telling the truth to the people. Sadly, every single thing he says here happens in Israel’s future. The idol worship, the corruption, the destruction, the eviction from the land. It all happens. Thankfully, that is not the end of the story. Look at verses 29-31. What a wonderful section about how great our God is. Moses says, “Seek him with all your heart and you will find him.” This is a good word for those who would love to have an idol to latch on to. You can find God, you can be close to him. You can return to the Lord, even if you think you are far from him. Acknowledge the Lord and that he is God. Keep his decrees and commands. “If you love me,” Jesus once said, “do what I say.” To love God is to follow his way. If you say you believe in him, but you do not do what he says, your declaration of belief doesn’t matter. Instead you show what you believe by doing what God says. So how do we do this? Remove anything in your life that could approximate idol worship. Contemporary idols are much more intangible. In our country we are not enticed to go to a local temple to worship a statue. Our American idols are different, harder to pin down. They could be Peer group acceptance, Sports, Phones, Games, Clothes, Possessions, or the American way of life. But how do you know when you have crossed the line into idolatry? It is okay to like something. It is okay to be excited about a sports game or hobby. Vacations can be so healthy. But we can take any of those good pursuits too far. I’ve been confronted in the past for pointing out hobbies or vacations as being potentially idolatrous. I am not trying to accuse anyone. I don’t know if your lifestyle choices are idolatrous. But I do seriously encourage you to take them before the Lord and say, “Lord, I have this hobby, or vacation, or TV show,” or fill in the blank with anything in your life, and ask the Lord, “Is this an idol? Are you giving too much of your heart and life and money and mind to it? Ask someone else in your life to evaluate you. Be willing to be seriously honest and humble and teachable about it. God knows if you are being idolatrous. Ask him. He might want you to give it up. Or focus on it a lot less. And if he did want you to give up your hobby, wouldn’t you want to know how God felt about it? What if God is jealous of the time you spend on your hobby? There is no doubt in my mind that we have American Idols. Not just famous singers. Are you willing to face a tough examination of yourself, that maybe you have allowed idolatry in your life? Let’s talk about that! And let’s embrace our merciful, loving, forgiving God who wants us to experience life that is truly life! Do you ever wish God would show himself? Ever feel jealous of the disciples who got to walk and talk with Jesus for three whole years? I do. I’m not always certain that God’s idea to be invisible was a good one. Why not just manifest yourself and prove to everyone you’re alive and well? It seems like that would help a lot. As we continue in Deuteronomy 4, we come to verses 15-19. Moses’ description of idols is very interesting. Unlike our invisible God, the idols were physical objects that could be seen. Statues of people or animals, and worship of the sun and moon. The nations around Israel all had idol worship. Most Americans, myself included, have rarely experienced what Israel dealt with every day, being influenced by idol worship. Only a few times in my life, on mission trips, have I traveled through lands where there were idol statues. Guyana, India, Nepal, and Cambodia. In these countries there were Hindu and Buddhist statues all over the place. Imagine what it would feel like trying to be a faithful Christian in Cambodia with Buddhist statues dominating the culture. In Phnom Penh we walked to the famous Wat Phnom, an ancient Buddhist temple, and peered inside the sanctuary. It was a room crammed with idols big and small. An eerie feeling came over me. In fact, in all of those countries, I felt a spiritual pressure, a darkness, and I was only visiting for a few days or months. That’s what Israel had to live with all the time. You might think, “Statues are so basic. What is the attraction?” Because pervasive idol worship is not a part of our culture, it can be hard to fathom. But in the Canaanite culture surrounding Israel, statues or the sun or moon were tangible things. You could see them, touch them, feel them, and smell the smells around them. It works that way still today in nations with religions that feature idol worship. Adherents believe those idols are connected to a real being, a real god. It might be hard for us to imagine, but for them it was and is real. In some cases they are connected to a real being, a demonic power. Now here’s the rub. What did God say to Israel? He said, “I don’t want you making any idols.” So how is Israel supposed to compete religiously in a culture and society that was all about physical representation of gods, when Israel’s God was invisible? Maybe that is why Israel was so enticed by other nation’s gods and their statues. Before this sounds foreign and irrelevant to you, ask yourself if you might feel a tinge of this. Let me explain. How do you feel about worshiping an invisible God? Do you ever think, “I wish you would just show yourself, God!” When you never see God, do you ever doubt God’s existence? I do. Even if we have a strong faith, we still at times long for a physical manifestation of God. Moses reminds us in verse 15 that Israel didn’t see their God, Yahweh. He had no form. They knew he was real, though. Why? They heard him! Yesterday, I mentioned the story of when he spoke to them. They had evidence that he was real. Other idols they could see, but those idols could not talk because they were not alive. Yahweh, though they couldn’t see him, was absolutely, clearly alive. We long to people in relationship with real people. We long to communicate, to look into each others’ eyes, to hear and to be heard, to touch one another. I recently listened to an interview on NPR that featured a communication specialist. She reported research into what happens in the human brain when we communicate with one another. The electrical energy in our brains goes wild, reacting, anticipating. We are built to communicate with one another, she said. Remember Tom Hanks’ character in the movie Cast Away? He survived an airplane crash that left him alone on a deserted island. Among the wreckage, he found a Wilson volleyball. As the days passed, feeling desperate, using his own blood, he painted a face on the ball, and started talking to it, as though it was a friend named Wilson. Hanks’ masterful acting depicts his character in “conversation” with Wilson. He was so alone, starved not only for food, but for communication, and he created a friend to connect with. Therefore it is sometimes painfully hard to stay faithful to an invisible God. You can see why people long for a god they can see, hear, and feel. You can see why people worship idols. We are people who love to hear about spiritual experiences breaking into in our everyday lives. The dreams, the visions, the miracles, the answers to prayer. Why? Because those are evidences of God being alive. If we are honest, many of us would admit that we question God’s existence or the truth of the Bible, and we feel guilty about it. So we long for God to show up. We long for those experiences of God in our lives. I have to ask you, though: can those experiences become idols? Can we become too dependent on the physical manifestation of God? I think we can. One of my favorite CS Lewis quotes from The Screwtape Letters is when Wormwood, the senior demon, remarks to Wormwood, the demon in training, that if a Christian sees no evidence of God in their lives, but still obeys, that Christian is not worth trying to tempt anymore. They are a lost cause…to the demon. Why? Because that Christian has attained a high level of spiritual maturity. They don’t need to see God to believe and follow him. They don’t need physical manifestations of God at work to sustain their faith. There is nothing wrong with God manifesting himself. He can and does. But maturity in Christ means that we do not allow ourselves to become addicted to spiritual manifestations; we do not allow ourselves to get to a place where our faith will crumble if those manifestations cease. This is why we spent so much time this past summer learning about the spiritual disciplines. Scroll back through the blog and you’ll see those posts. Why are spiritual disciplines so important? When we develop habitual patterns of following God, we can have strength to get through the dry times. The regular practice of spiritual disciplines is vital. I recently heard the story about one of our local cross country runners who was nervous to start practice. Remember those weeks in mid-August? It was hot! And humid. Can you imagine running in that? This particular young lady had never been on the cross country team before, and she was nervous she would do poorly in the heat. You know what happened that first day of practice? She was fine. But another boy, not so much. He ended up almost passing out due to heat stroke. You know the difference? She trained over the summer, and the other boy did not. She logged the personal miles, and so her body was ready for practice, even in the heat. Likewise we practice a disciplined faith so that we can become mature followers of Jesus. Not following idols. But following the way of Jesus, even when we see little evidence of God around us. Are you working on growing your faith? Practicing spiritual disciplines? We might not see God, Moses reminds us. But we can know that he is alive and well. There’s a scary reality we need to bring up. Though we are studying Deuteronomy, jump ahead to Judges 2:10, which takes place maybe 40-50 years after Deuteronomy. By this time Joshua has taken over for Moses as leader of Israel, guiding Israel as they take possession of the Promised Land and settle down. Then Joshua dies. What happened to Israel, then, one generation removed? We read in Judges 2:10 that they totally forgot the Lord. That freaks me out a bit. Can this happen to us? Can we totally forget the Lord? Let us never think, “No way, that will never happen.” It sure can happen. But how? Just like it did for Israel in Judges 2. One generation that knows the Lord does not pass on the faith to the next generation. Now let’s travel back to Deuteronomy 4, and I’ll explain why we took this little trip into Israel’s future. Yesterday I mentioned that God is odd. He really is, but in a good way! Look at Deuteronomy 4, verses 10-14. Moses is reminding the people of Israel of a famous story in their history, a time the previous generation heard the voice of the Lord, and God gave them the Ten Commandments. Moses is about to review those Ten Commandments next in chapter 5. For now, he has a different purpose. He wants the people to remember their odd God. Their God wasn’t like the Canaanite gods which were mute idol statues made of stone or wood. No, Israel’s God, Yahweh, could speak! Moses then tells the story of when God dramatically spoke in an audible voice to the people many years before, a story you can read in Exodus chapters 19 and 20. How many of us are teaching our kids and grandkids what God is like? Are you teaching your kids the story of God? It is crucial that we parents and grandparents take an active role in passing on the faith to our kids and grandkids. Tell them God is so different from other gods. Definitely this practice of teaching the next generation should include teaching them Bible stories. But what about also telling them stories of how God has shown himself to be alive and well to you personally, to your family? Do you remember? How has God been faithful, how he has answered prayer? You know what the Psalmist says in Psalm 71:18? 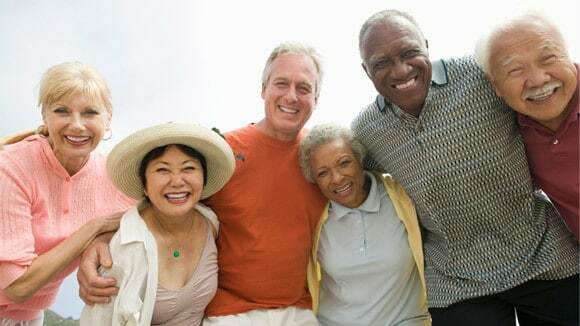 This is a great reminder for older people who have kids and grandkids:“Even when I am old and gray, do not forsake me, O God, till I declare your power to the next generation, your might to all who are to come. So parents and grandparents, invest in the spiritual welfare of your kids. Disciple them to be true followers of Jesus. Don’t depend on the church to do this for you. Have dinner together, and talk about the Lord. Have family devotions. Memorize Scripture together. Then tell the stories of God at work in your lives. Go on mission trips together, serve together. Keep faith alive in the next generation. Help the next generation learn what discipleship is all about. Teach them how to advance in the unending cycle of being disciples who make disciples. If you were a person living in the Ancient Near East observing the people of Israel on their strange journey out of slavery in Egypt to settlement in Canaan, you might think “this is an odd people, and their God is odd too.” In fact, as we continue studying Deuteronomy chapter 4, Moses, in verse 6, begins making this point. What he says to the people of Israel in verse 6, is a bit of recap from the opening verses of the chapter: If they obey, they will preserve their life and land. But they will do something else even greater. Moses says that if Israel follows the way of the Lord, they will also show the rest of the nations that they are a wise and understanding nation. How is that odd? Stay with me. We in America know what it is like to be surrounded by other nations. But really, we have very little idea what it was like for Israel. Sure we have Mexico and Canada above and below us, but they are friendly nations, despite the tussles we get into sometimes. But there is no threat. We are a superpower, they are not. Israel in Deuteronomy 4 had a totally different situation. They had powerful, aggressive nations all around them. They barely have any land of their own, and they certainly are not secure in their land. Imagine how it would feel to know that on any given day or night, you could be attacked from neighboring nations? It would be horrible. How many of you 80s kids remember when we had bomb drills at school? At the time we were in what was called the Cold War with the Soviet Union, including threats of nuclear war and mutually-assured destruction. We had this impression that some guy over in the USSR had his finger hovering ever so slightly over a red button that would send salvos of intercontinental ballistic missiles over the ocean to our cities. Remember when the alarm would go off and we would have to hide under our desks at school? As if that would save us if a nuclear bomb hit Lancaster County. We knew it was just a drill, but it still got me nervous. Do you remember the anxiety? That was Israel every day. The threat was real. War was life. What is Moses getting at? Is it possible that Moses is making a connection to the promise God gave Abraham 500 years before? We read in Genesis 12 that God promised Abraham that his family would become a great nation that would be a blessing to the whole world. How could Israel be a blessing to the Canaanites? The biblical text and archaeological research confirms that the Canaanites were incredibly violent and injustice abounded in their nations. They practiced child sacrifice and temple prostitution. They were regularly at war with one another. It was a dog eat dog world. And then there was Israel. Compared to the Canaanites, Israel was odd. 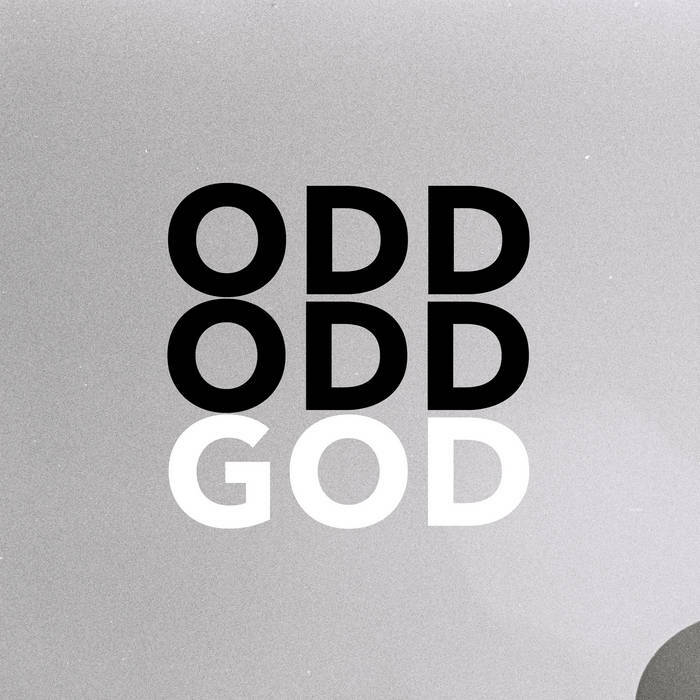 Their God, his name Yahweh, wanted them to be odd. But then again, Yahweh was odd too, when placed side-by-side of the Canaanite gods. Moses goes on in verse 7, describing this. He says that Yahweh is near. The people could see his physical presence in the tabernacle. Also, Moses adds, God is near to us in prayer. What an amazing verse. In the Canaanite nations, people had to visit an idol, a temple to get near their gods. But Yahweh brought himself close to his people. From the perspective of the Ancient Near Eastern person, Yahweh was odd. Moses continues this line of thinking by asking a question in verse 8: “What other nation is so great as to have such righteous decrees and laws?” He doesn’t answer the question, does he? You know why? Because the answer was obvious to everyone. No other nation was like Israel. No other nation had a God like theirs, and no other nation had such a righteous law code. God prohibited injustice, like child sacrifice and prostitution. God uplifted women and children. Do you see where this is leading? If Israel can remain faithful to God and keep his law, they might just have a wonderfully positive impact on the world. See the connection? We need to remember what God has done, how he has changed our lives and wants to transform others as well. It starts with remembering that he is so different, and as a result by following his way, we become different. While the difference might seem odd to those in our world, they can come to learn how wise and understanding and good God actually is. How about you? What have you seen? For those of you a part of the family of Faith Church, what have we seen? How have we seen God at work? For those of you not familiar with Faith Church, this is a question I ask a lot. Most Sundays we have an open mic sharing time, and that is question we want people to answer. How have you seen God at work in your life? It is vital that we ask and answer that question, that we remind ourselves of how God has been at work in our lives in the past and how he continues to work. Do you remember this one? Who remembers the amazing gift we received from The Door a few months ago? $20,000 for our Capital Campaign! What a blessing. We are so thankful to not only rent space to The Door, but also to grow our unity and fellowship with them. Here’s another one: Remember when Lamar & Janice Stoltzfus were taking sabbaticals from their teaching jobs so that they could be interim missionaries at Rift Valley Academy in Kenya for one year? The year was 2006, I think. The Stoltzfi (as we lovingly call them!) applied for full year sabbaticals. But they were denied. Their schools approved half-year sabbaticals. They could keep their jobs if they were away a full year, but they would only get paid for half the year. That meant they needed to raise $40,000 in two months. What happened? God provided. Amazing! Like his plan for Israel, God wants the world to blessed through us. And when we remember how amazing he is, we’ll be inspired, motivated to fulfill that purpose. We are blessed to be a blessing. Have you forgotten? Was God being manipulative when he said, “If you obey me, you will live”? Is God being manipulative when he says, “If you obey me, you will live”? Is he being threatening? Why in the world would God say that? If you remove the Christian filter from your mind, you can read God as sounding an awful lot like an abusive boyfriend. As we continue our study through Deuteronomy, we come to a passage where God says that. Jesus says it too. Let’s take a look. What are we to make of this? In Deuteronomy chapter 4, verse 1, and we read the word “Hear”. “Hear” is the Hebrew word “Shema,” and Moses uses it many times in the next few chapters, the most famous occurrence is in chapter 6:4-9, “Hear O Israel, the Lord our God, the Lord is One.” That Shema is known as THE Shema, a kind of credal statement uttered by the people of Israel regularly still to this day. For them it is like the Apostles Creed or the Lord’s Prayer. And what is the important info Moses has for them? Well, there is a lot. Look at what he says in verses 1-5. They absolutely must get this because their lives literally depend on it. They need to hear the Law, and then follow and obey the law, he says, to live. To live! And why? Because of verse 3. Moses basically says to the people, “You remember that situation at Baal Peor, right?” You can read all about what happened at Baal Peor in Numbers 25. It was a fairly recent event in the life of the nation, so Moses doesn’t need to retell it here in Deuteronomy 4. He just has to say, “You saw with your own eyes what the Lord did at Baal Peor.” What they saw would have been hard to forget. The place was called Baal Peor because an idol to the Canaanite god Baal was there. Some of the people of Israel were enticed to worship it, probably because there was temple prostitution there. Some of the men indulged, which was bad enough, but they also participated in worship rituals, which included bowing down to the idol of Baal. Imagine God watching them. It was like a one-two punch to him. First punch in the gut when they participated in sinful things, second punch right across the face when they bowed down to Baal. How would you feel if you were God? Betrayed. Angry. Jealous. Maybe all that, maybe more. God is a relational, emotional God, and Israel had really hurt him. We learn that thousands of the Israelites died that day as a result of their severe disobedience. Fast-forward to Deuteronomy 4, and the people Moses was talking to remembered that day. The lesson God taught on that horrible day in the life of their nation was one they wouldn’t forget anytime soon. Follow God’s Law and live. Disobey and die. It couldn’t have been more clear to them. Moses also connects the obedience of the people to their ability to remain in the land. If the people obey, not only will they live, but they will also live in the Land. In chapters 1-3 we learned that some of the tribes, 2 ½ of them, had just received their allotment of land on the east side of the Jordan River. The rest had yet to cross the Jordan where they would receive their land. They had come all this way from Egypt. Did they want to live in the Land? Yes, they absolutely did. So Moses reminds them that the promise of life and land was conditional. God’s love for them was unconditional, meaning it would never change. But life in the land was conditional; they could lose it. If they followed God’s law, and held fast to them, they had nothing to worry about. This is an instructive word for us too. Jesus once said in John 14:15, “if you love me, obey my commands.” In our modern sensibilities, we bristle at the suggestion that we are to obey another person. It sounds demeaning or authoritarian. Parental. And to tie it to the idea of love sounds really manipulative. “If you love, you’ll do what I say.” If our friend was in a relationship with a person who said that, we’d tell them to break it off. So why does God say this to the Israelites, and why does Jesus say it to his followers? Are they manipulative? Are they being demanding? Maybe. Some people sure think so. But I don’t. Instead, I believe God had the Israelites’ best interest in mind. Just like Jesus does for his followers. They know the best possible way to live. They are not just trying to twist people’s arms into praising them and following them. Instead they love us and want what the true good life for us. That good life is found in obeying them. Jesus often talked about how following his way leads to eternal life, but it also leads to a new kind of life in the here and now. Israel could access that life, God said, if they obeyed him. We can access that life, if we learn to follow the way of Jesus. What is that way? Read the stories of Jesus in four accounts of his life, Matthew, Mark, Luke and John. What do you see? If you want to learn to be his follower, comment below. I’d love to talk with you further. Take a look at what Paul says about following Jesus in the teaching right after the Fruit of the Spirit: “Those who belong to Christ Jesus have crucified the flesh with its passions and desires. Since we live by the Spirit, let us keep in step with the Spirit.” Let’s talk about how to do that! Let’s talk about how to really live. Are you investing in people to take over for you? Or will your efforts stop with you? It might be a volunteer position in your church. It might be a job at work. It might be a leadership role in your family or on your sports team. You’ve served and worked and given much of yourself. What will happen when you are gone? Will it all fall apart? Our final installment of Deuteronomy chapter 3 is found in verses 21-29, and there we find Moses in the very position I describe above. Moses has invested his life leading this group of people, the nation of Israel, to their new home. He knows his tenure is about to finish. Will the 40+ years he has given be worth it? I wonder how much Moses reflects on the fact that he grew up a prince of Egypt. I wonder if he thinks “Man, I had it good there. And I gave it all up for this?” I wonder if he ever fears that his life’s work will be wasted. Will Israel survive without Moses leading them? Moses is about transfer leadership to Joshua. As we read Moses’ conversation with God about this transfer of leadership, we’ll find some concepts very applicable to followers of Jesus and the task he has given us, to make disciples. Do you remember that task God has given those of you who are his followers? Many times Jesus said things like “Follow me, and I will make you fishers of men,” or “Go and make disciples of all nations, teaching them to obey everything I have commanded you.” Is it possible that can we learn about the task of making disciples from Moses and his relationship with Joshua, even though Moses lived more than a thousand years before Jesus? I see at least three discipleship principles we can learn from Moses’ in Deuteronomy 3:21-29. I believe we apply these principles to our own lives, as we seek to make disciples as Jesus commanded us. First, Moses reminds Joshua of what God has done. This is a way to build Joshua’s faith for the conquest to come. Notice the personal words: “God will fight for you.” Moses wants Joshua to place his faith in the Lord. He wants Joshua to know the personal relationship with God that he has known. Second, Moses reviews his own failings, perhaps as a warning to Joshua. Moses is called the most humble man who ever lived in Numbers 12:3. I think Moses’ willingness to publicly review his faults is one way he shows he is humble. So in Deuteronomy 3:23-27 Moses discusses his sin and punishment, possibly because he does not want Joshua to fall into the same trap. Here Moses is not only demonstrating for Joshua that a leader can be vulnerable and honest, but also that a leader needs to avoid pride, practicing humility, and giving God the praise and glory for everything. Third he commissions Joshua, encouraging him in front of the whole nation. Here is Moses telling the people what God said, so all the people knew that Joshua was going to be the next leader. Moses is managing this significant transition that is about to take place. He is leading the people to buy in to this transition, to take the trust they have placed in Moses, and give Joshua that same trust. Moses led the people for 40+ years. Will the people trust Joshua? Will this transition work? It is incredibly difficult to have a revered leader transition to a new guy. Even if the new leader is familiar and known to congregation. It seems to me that most of the Israelite nation would have expected Joshua to take over. I highly doubt it would have been a surprise. Given nepotism, and how prevalent that can be in some societies, perhaps people wondered if Moses’ children or family were going to be the next leaders of Israel. The fact of the matter is that Joshua had been at Moses’ side for a long time, and the people knew that. You know what, though, even if the vast majority assumed that Joshua was going to be the next leader, the transition can still be hard. I suspect not everyone was pleased. In nearly any leadership transition, people can be downright upset, and they leave. Those people feel little to no connection to the new guy. So Moses needs to prepare the people, and he needs to invest in Joshua. How are you investing in the lives of those around you? And who are you investing in? Who is going to take over for you? This could be in your business, sports team, volunteer organization, family, church? This applies in many ways. As we think about Jesus call to make disciples, we his followers can look at these three principles and apply them to the task of discipleship. Be intentional. Invest your life in the lives of others, so that more and more people come to know Jesus, and be his disciples who make more disciples. You are Moses. Who is your Joshua? And also consider that you are Joshua. Who is your Moses? Who is investing in you? Have you ever been penalized for something that you did, and though you deserved it, you felt that punishment was too severe? Have you pleaded your case asking for grace, for mercy, for another punishment? That’s a tough spot to be in. You know you were wrong, and yet you feel the discipline is harsh, but because you were in the wrong, you don’t feel you have a foundation to ask for grace. As we continue in Deuteronomy 3:21-29, that is the situation we find Moses in. Moses messed up, and God told him that his punishment was that Moses could not enter the Promised Land. Moses has led this fickle people through all kinds of adventures, he has been in such a close relationship with the Lord, and as a result this decision by God feels harsh. I wonder, Why won’t God give Moses a second chance? It seems to me that Moses is being vulnerable here in Deuteronomy 3, talking with the people about this situation. How many of us are willing to talk with our kids or employees about the times we messed up? Or is Moses actually being grumpy, considering the fact that he accuses the people, as if it was their fault that he can’t go in to the promised land? I can hear his thoughts: if you people wouldn’t have been so fussy about not having water, I never would have gotten into this mess. I’d still be going to the Promised Land! We’re going to hear Moses’ refer to this ban in Deuteronomy numerous times. It was a tough one for him to get over. I don’t blame him. After all these years, to not be allowed to enter the Promised Land? That’s rough. So what is God thinking? Maybe God wants to preserve the purity of the nation at the beginning of a new work. Kind of like the teacher at the beginning of a new school year is tough, but once they have gained respect and classroom control, they ease up. Maybe God just needed to make an example of Moses. Maybe God is holding a leader to a higher standard. He tells us in the James 3:1 that leaders and teachers are held more accountable because of their influential role. Maybe. I actually think there is something else going on here. That something else requires us to try to understand the precise nature of Moses’ sin. What did Moses do wrong? What was Moses’ sin that caused God to bar Moses from entering the Promised Land? To answer that, we need to turn to Numbers 20 and the story about water from the rock. My Old Testament professor Dr. Dorsey once told us that people speculate as to the nature of Moses’ sin in this story. Could God really be upset that Moses struck the rock with his staff instead of talking to it? Dr. Dorsey felt that the answer is more likely found in what Moses says to the people in verse 10, “must we bring you water out of this rock?” Perhaps Moses might have been seduced into a power trip, speaking as if he had power to do a miracle. What is clear is that he did not acknowledge God, the only one who actually had the power. We always need to be careful to give God the praise, honor and credit in all we do. No doubt God has blessed us with gifts, talents and abilities. James 1:17 reminds us that God is the source of all good gifts. 1 Corinthians 10:31 says that whatever we do, even basic tasks like eating and drinking, we should do to the glory of God. And back to James in chapter 4 where he warns us about the dangers of pride, and how we need to pursue humility before God. It is easy to let pride creep in. Success breeds it. We get feedback that we’ve done a great job, and we can forget the source of our gifts and abilities. Have you allowed pride to creep in? Are you giving credit where credit is due? Are you pursuing humility? It is possible to become more humble. Recently, I talked about spiritual disciplines, and I believe we can practice humility. Learn more here. How do you need to give God the praise and glory due him?